Soon it’s gonna be Black Friday on everybody’s mouth. some individuals will get confuse about the whole thing. First let’s start by explaining the term Black Friday. that wish to purchase items that very day. It is practically one of the biggest day in the life of both online and offline shoppers. It is hugely popular in the west and English speaking nations. 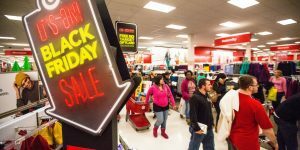 Why it is Termed/Called Black Friday? So When is the Black Friday gonna happen? all about? And why it is called the name Black Friday. that, I will leak the date to you. The date is Friday, November 25th 2016. Does Black Friday happen On-line or Off-line? Do Financial Institution Open on Black Friday? grant their workers access to have the weekend off. In Nigeria, the popular Online Malls to hook on to for great Black Friday deals is – Konga, Jumia, and Yudala. Hmmm, I think am done. so you can mark your calendar or set reminders.